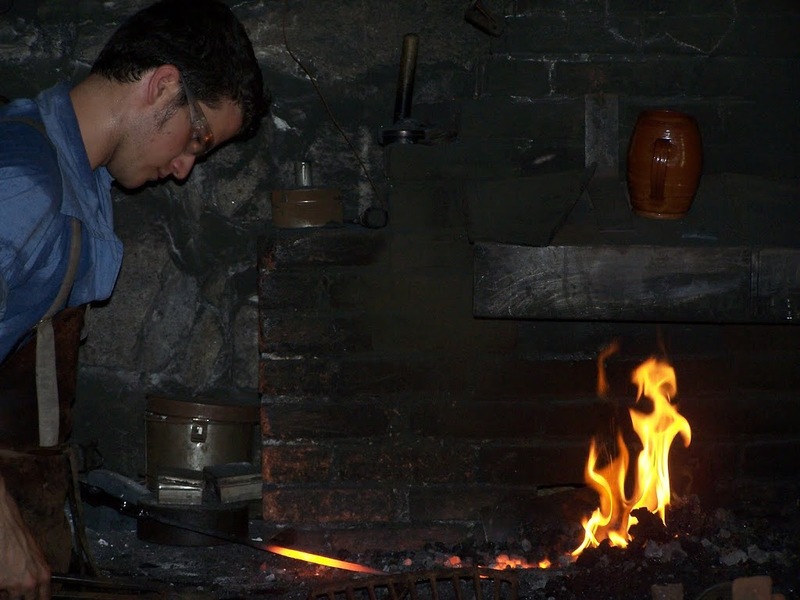 Functional work of the smithy- today most blacksmiths do not shoe horses, farriers trim horses feet and shape and put on their shoes. ( This big draft horse is sporting toe clips to hold the shoe on in mud and hard trail conditions) The toe clip always reminds me of the rubber fronts on my old Ked’s sneakers when I was a kid. Putting your nose to the grindstone is about work ethic, being sharp with calculations and steady at work. Axe and other implement blades were sharpened on the grindstone. 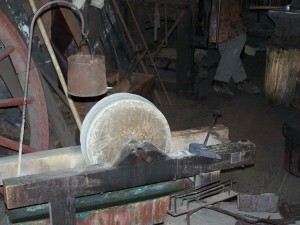 In the foreground of the grindstone picture is an early style toaster. 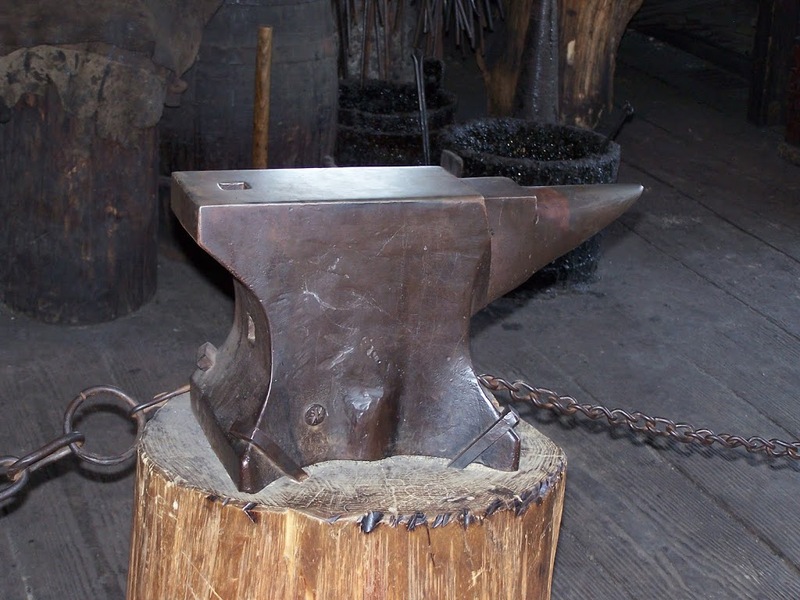 The small rack held slices of bread and was put on the hearth to brown them in front of the flames. With some homemade butter Mmmmmm! He’s full of hot air – could refer to a hot air balloon, but the blacksmith pulls the handle to the large leather bellows to send air into the coals to heat them up. 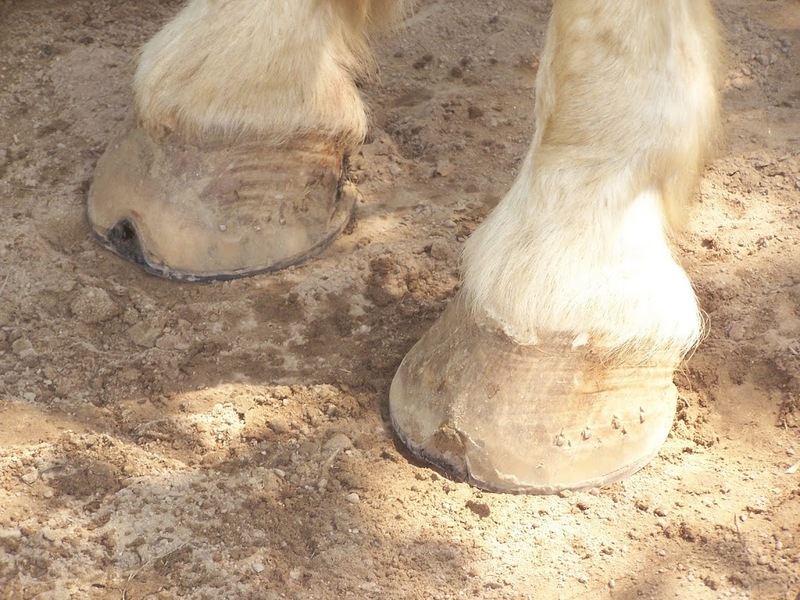 Waiting around the blacksmith shop for a repair or to have a horse or ox shod would be the perfect time to swap tall tales – full of hot air!